Yesterday, a couple of hours after the WOD, I ran 5 miles. Today, I sat my behind down! The leg work was grueling. LOL! After I recovered, hubby and I finished painting our son’s bedroom walls. Thankfully tomorrow we have only trim work to do and the paint project will be complete. Yay! Oh and the quote, I absolutely love, which I borrowed from Pinterest. 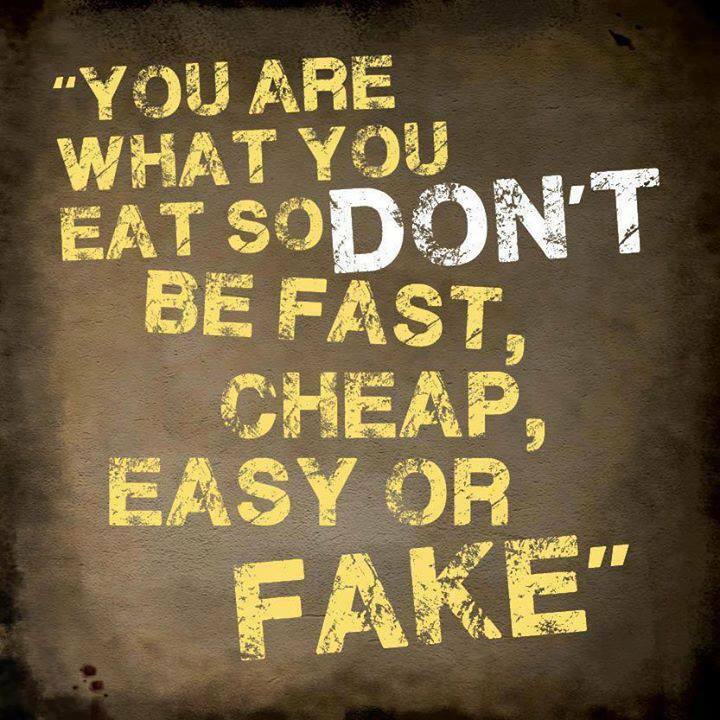 The next time you grab to eat something Fast, Easy, Cheap, or Fake, think twice about it. This entry was posted in Family Living, Fitness, Healthy Living and tagged burpees, CrossFit, Fitness, intense workout, leg work, swod, workout, Workout of the Day. Bookmark the permalink. Awesome graphic!! And good workout.